The Friesian Sporthorse Association offers our sincerest condolences to Sherry and Jon Koella of Hidden Promise Sporthorses, who lost several of their horses (including the approved Friesian Sporthorse breeding stallion Nico) in a tragic barn fire on Christmas Eve 2010. The Koellas were (and still are) pioneers in pinto Friesian Sporthorse breeding, and this was a devastating loss. 2017, and again in 2018. 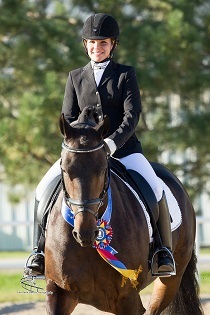 Friesian Sporthorses at the 2014 US Dressage Finals! 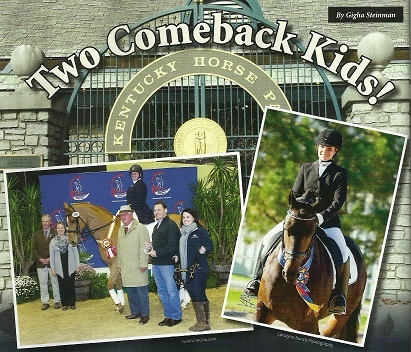 Congratulations to both horses, riders, and owners! 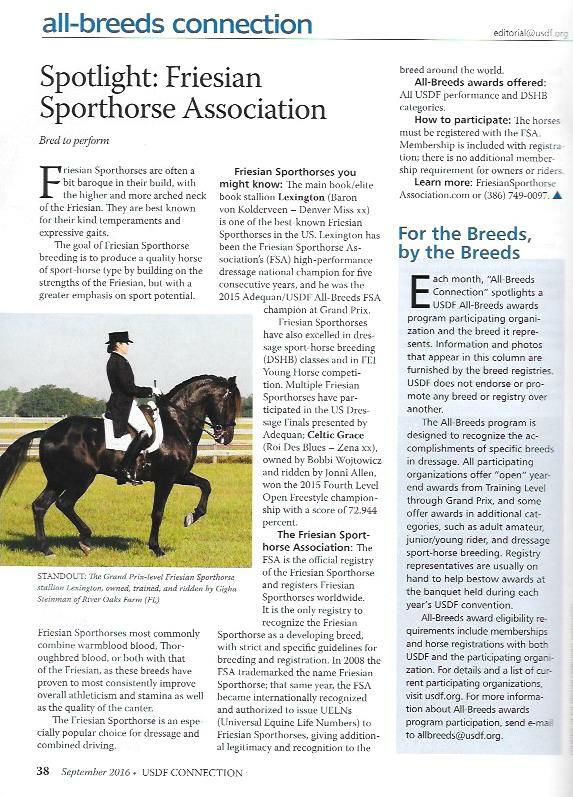 Sporthorse and the production of quality, talented FEI dressage prospects in the U.S.
also wrote an article about the seminar which was featured in Warmbloods Today magazine. Wojtowicz and ridden by Jonni Allen. testing will be required for any AFA registered horses being transferred to the FSA. which are being used for breeding to other Friesians or Friesian-crosses. safe and a means to maintain genetic diversity in the breed and avoid production of affected foals." are "carriers". Horses with two copies are "affected". Horses with no copies are "normal". Friesians. This testing being offered is only for Friesians and Friesian-crosses. irrelevant when breeding to a horse with no Friesian heritage. and we can invoice you via PayPal. has been extended by the USPTO (United States Patent and Trademark Office) thru 2028.